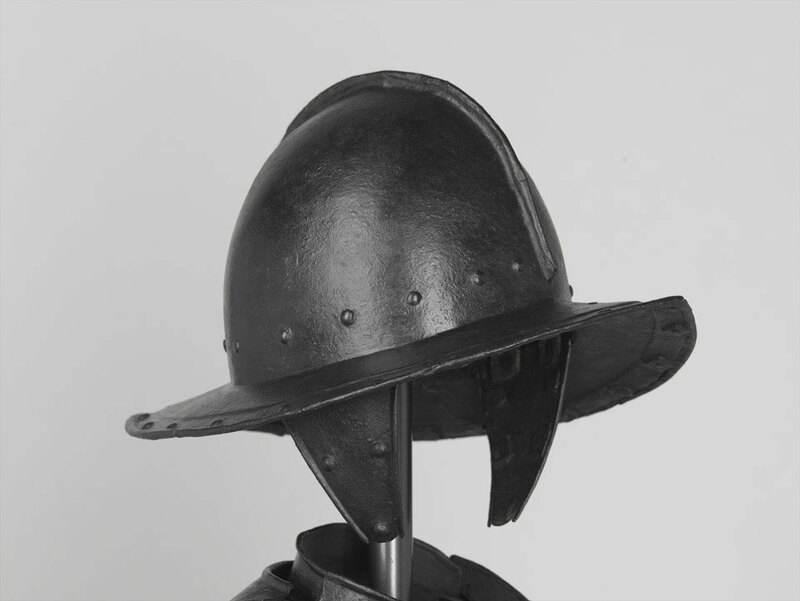 I am looking to upgrade my living history kit with a reasonably authentic helmet. Time is c. 1655, and location is an English Colony in the New World - which mostly means some form of Morion ("pikeman's pot"). Looking around online I find some off-the-peg examples from Indian armorers - these would work for costume, but they're never particularly authentic. They all seem to have little to no suspension, either, which I'm one for thinking is normal in these kinds of helmets (and is absent completely on my current one). While I have encountered armorers online, they mostly seem to specialize in medieval equipment. More importantly, I don't have any real knowledge if their product is actually good. I suppose A&A would be a good fall-back choice, but I have heard precious little about their armor - what little of it they seem to have made. So, if one wished to equip himself for the warres on the Continent, England, or the New World, where should they start looking? What seems to be the going rate one can expect? I owned a Tomala cabasset, and can vouch for the quality. It was amazing, from shape and finish to lining. He'd be my choice for any helmet in that period, as he obviously has a great eye and feel for it. I got my cabasset secondhand, so I can't comment about the ordering experience. Thanks for the suggestions; I've sent a message out to Adam and Tomala. I can't speak for Adam, but Tomala is around where I figured I'd have to budget - approximately $500 for the item itself. I might go that route in the short term - with some artificial aging it would pass the 3' test. Long-term goals are to have as accurate of a kit as I can manage, but in the short term I'd rather have something 3'-passable and fitting than not!